In recognition of excellence in the luxury spa and wellness industry, Spa Greystone has been named a Luxury Day Spa Finalist in the 2017 World Luxury Spa Awards. These awards are presented each year to spas that display a sustained commitment to service excellence and outstanding achievement in the international luxury spa and wellness industry. 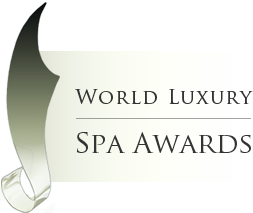 Votes for the World Luxury Spa Awards are gathered both online and in person based on location, guest satisfaction from online reviews, services, facilities, menu offerings and more. This year, more than 100,000 votes were cast for establishments that are setting benchmarks in quality, innovation and service for spas around the globe. Spa Greystone is known for the quality of our friendly, pampering staff and our continual pursuit of just the right experience for you. Our luxury medical spa and laser center close to Birmingham, Alabama offers a complete menu of spa services and skin care treatments for all skin types. Safe and effective laser treatments available at our Birmingham-Hoover spa include Laser Hair Removal, Laser Tattoo Removal and Laser Skin Resurfacing. Get ready for your next special occasion at our professional Hair Salon, where each cut and style is designed especially for you.